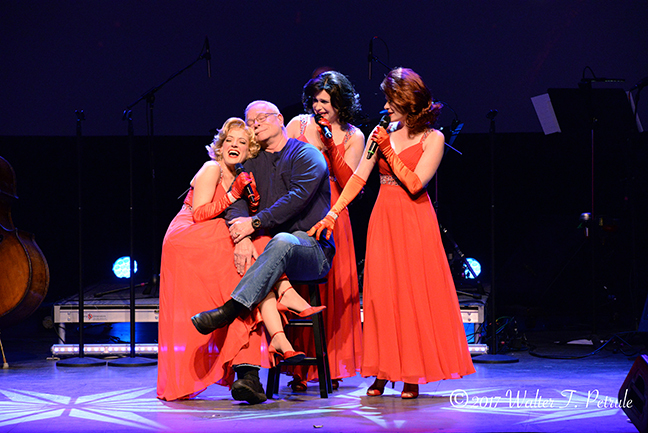 Click here for a list of upcoming performances! 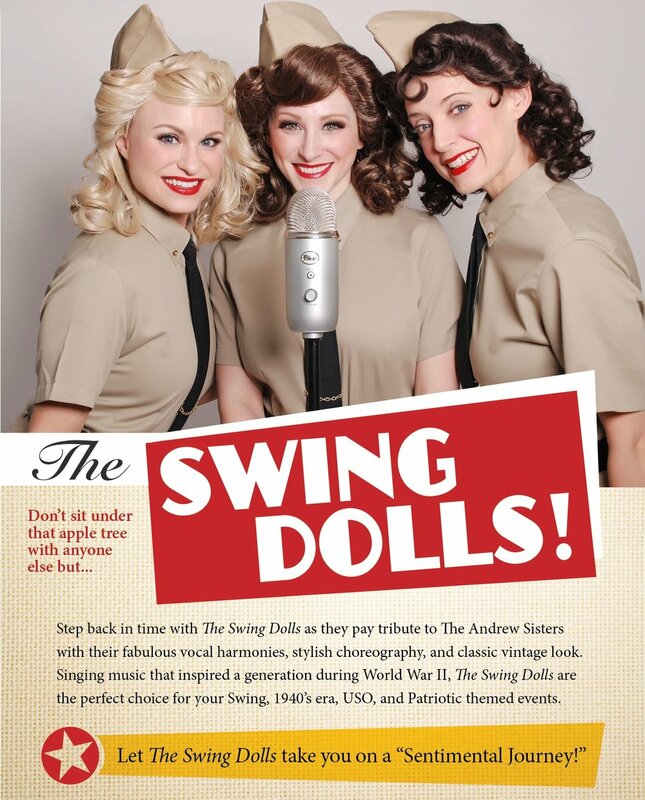 The Swing Dolls on CBS News! 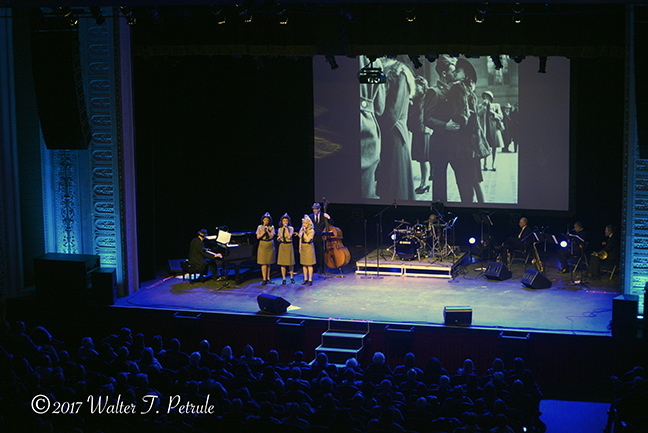 The Swing Dolls' stunning rendition of The Star-Spangled Banner live! The FIAT 500L Super Bowl Commercial “Wedding”, featuring vocals by The Swing Dolls! Their song “The Italian Life’s for Me” is available on iTunes and CD Baby! Below are samples of a few of our songs. We have an extensive setlist that can be customized to suit your needs! 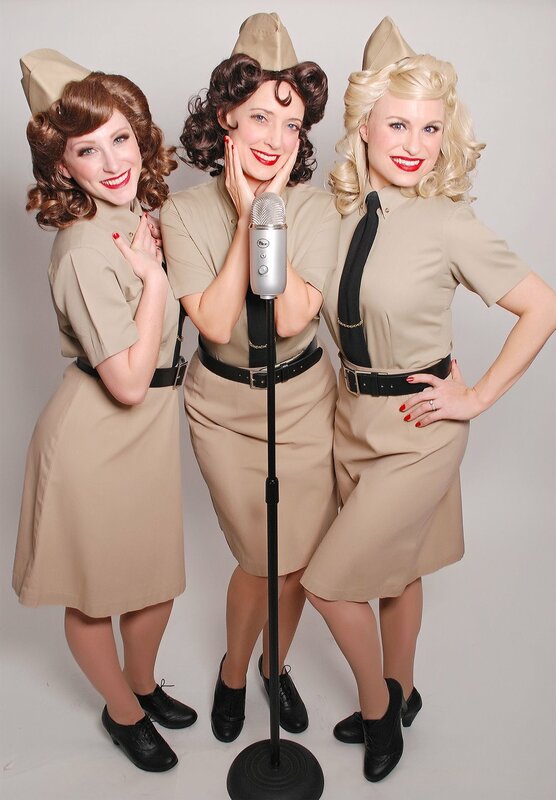 The Swing Dolls are a dynamic female vocal trio that has been thrilling audiences nationwide for over 10 years. 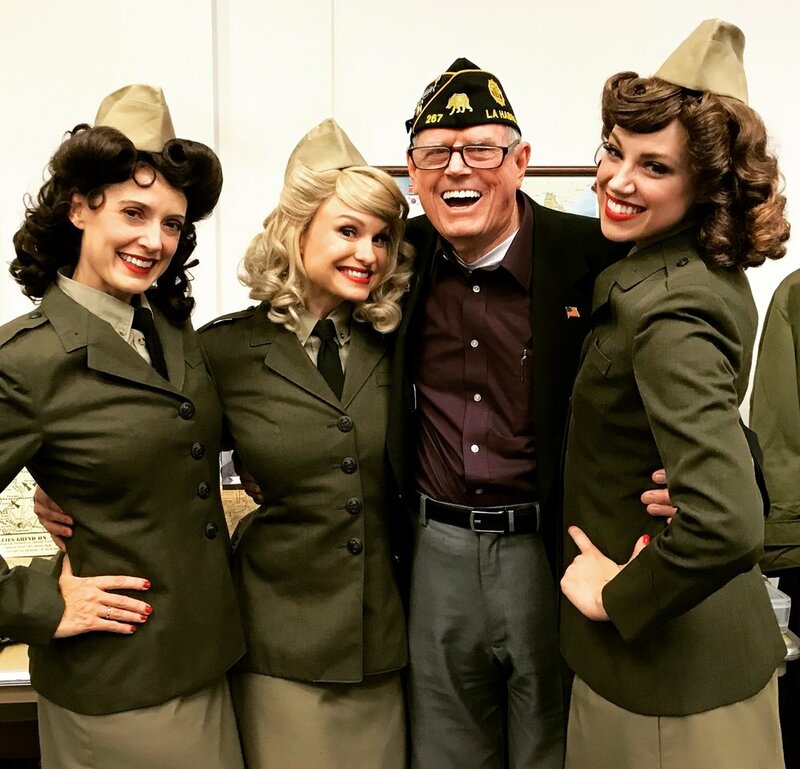 As America's premier Tribute to The Andrews Sisters, they have garnered appearances on television’s “Gilmore Girls” and “Your Big Break”, and their vocals can be heard on the Fiat 500L commercial, “Wedding”. 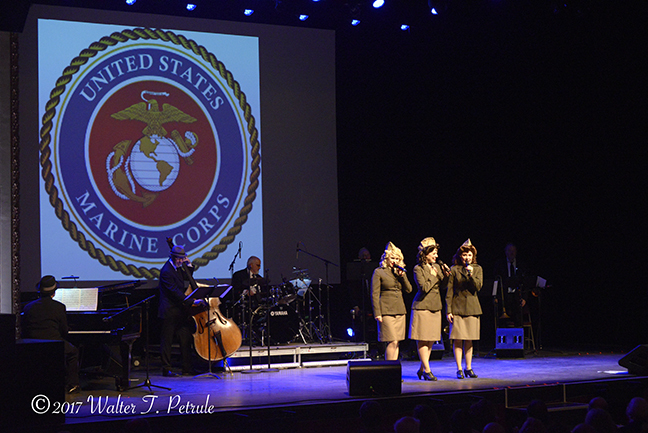 They frequently perform for major corporate and private events throughout the US. Their countless featured appearances include: Comicon 2016 in San Diego, The Kennedy Center with The Los Angeles Police Department Concert Band, The USS Missouri in Pearl Harbor, HBO's “Band of Brothers” Gala, Reunion of the All-American Girls Professional Baseball League with Director Penny Marshall and Cast of "A League of Their Own", for Bob Hope's 100th Birthday celebration, as featured Guest Artists with Harry James Orchestra in Seattle, Pasadena Pops Orchestra, and numerous performances for patriotic themed shows for townships, military bases, and aboard the USS Midway in San Diego.